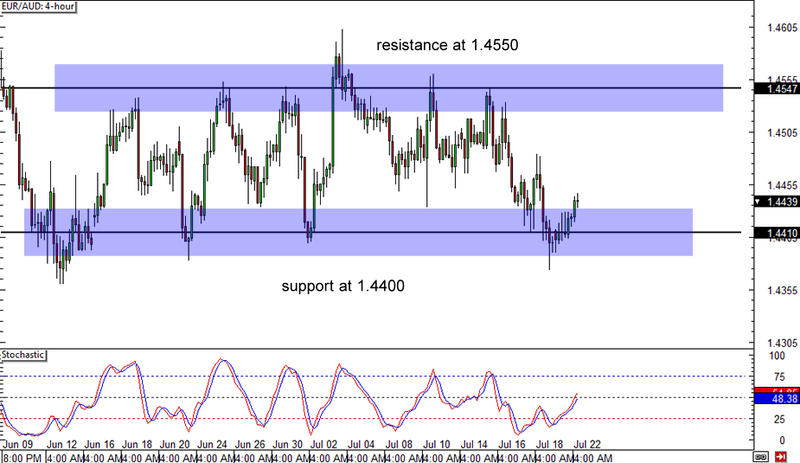 EUR/AUD has been pacing back and forth inside its range on the 4-hour forex chart, as it found support at the 1.4400 major psychological level and resistance at the 1.4550 minor psychological level. Right now, the pair appears to be making a bounce off the range support once more, with stochastic moving out of the oversold area and indicating that buyers are in control. This could mean that the pair has enough energy to head back to the top of the range to test the resistance once more. 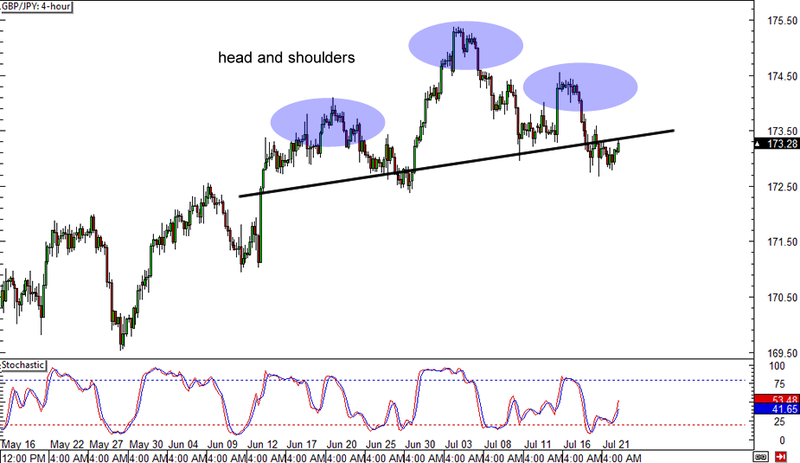 Are my eyes deceiving me or is that a head and shoulders pattern on Guppy’s 4-hour forex time frame? It appears that the pair is making a classic reversal formation, suggesting that the recent climb may soon be reversed. The neckline is a diagonal one though, and it is not very clear whether price has already made a clear breakout or not. Stochastic seems to be indicating that price might still make a pullback, possibly until the 173.50 minor psychological resistance, before heading south. Breakout alert! CAD/JPY has been moving below a falling trend line since the start of the month, but it appears that the pair has gotten enough losses. 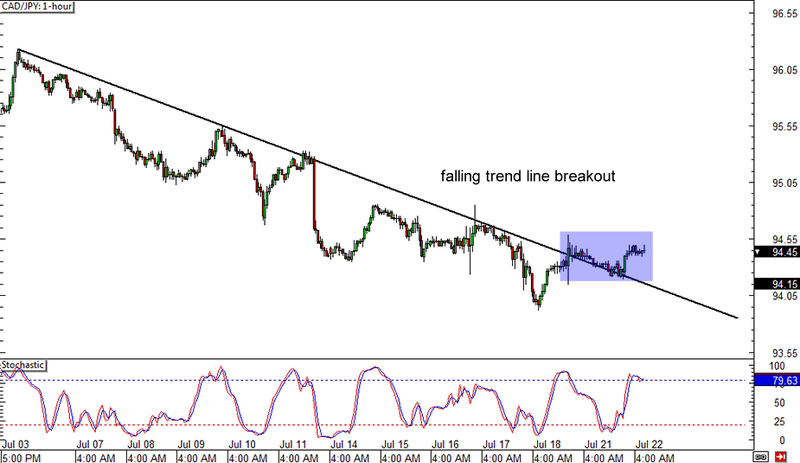 Price made an upside break from the trend line and retreated for a quick pullback before resuming its climb. It appears to be having difficulty breaking past the 94.50 minor psychological resistance and area of interest though. Stochastic is already indicating overbought conditions, which means that bulls could use another quick break. If buying pressure remains present though, CAD/JPY could soon get back on its feet and break past 94.50.